With today's guest I would like to broaden the reading horizons of all of you historical romance readers and lovers out there. Because this year I have discovered Jeannie Lin and her Tangy Dynasty series and they have both become favourites of mine! So try out reading about oriental princesses and Asian heroes riding on the Chinese steppes instead of the usual Regency ballroom scenes and you'll learn plenty of interesting historical tidbits besides enjoying wonderful romances, trust me, I loved Jeannie Lin's My Fair Concubine (as you can see in my review)! 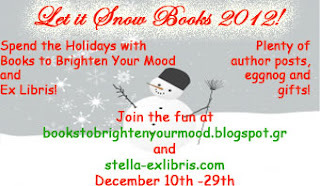 I was so thrilled to be invited to the “Let it Snow Books” festival that I jumped on board with nary a thought. I love wintertime. I love Christmas. I love eggnog and wrapping presents and all the feel good stories about home and hearth and family. Trade along the Silk Road was at its height during the Tang Dynasty, bringing many diverse ideas and cultures to China. Did you know that the first recorded Christian mission to China took place during the Tang Dynasty? The visit is documented on the Nestorian Stele which was erected in the 8th century. The tablet details the arrival of a group of Christians led by a man named Alopen. The missionaries arrived in 635 A.D. to the capital city of Changan. 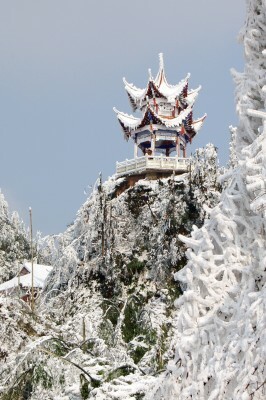 Subsequently, several Christian places of worship were erected in China. 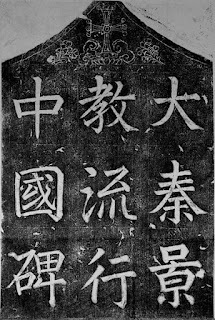 The Nestorian Stele – Notice the cross at the top? We Three Kings of the Orient Are…From China? There is also some conjecture that one of the Three Magi was an imperial court astronomer from the Han Dynasty named Liu Shang. He is credited with discovering a star that the Chinese call the “king star” which is associated with the birth of a new king. Shortly after discovering this star, Liu Xiang disappeared for two years from the Han court. Chinese Christians believe that he journeyed to Bethlehem during this time and that the “king star” was indeed the Star of Bethlehem. Yet I was determined to provide a little Tang Dynasty flavor to the “Let it Snow” celebration. To make matters tricky, My Fair Concubine takes place in the summer, as you may be able to tell from the lovely peach blossoms on the cover. The story is full of sunny strolls to the marketplace and warm summer nights in the park so there was no easy tie-in there for me to grab onto. After searching for fun winter holidays in China, I found a nice recipe for glutinous rice dumplings, called tangyuan, eaten for good luck during the Dong Zhi festival which falls on the winter solstice. The festival is centered around family and reunion, a feel-good holiday without the candy canes. For filling: Mix the peanut butter together with sugar to taste. Black sesame seeds are optional. Other ground nut fillings such as walnuts can also be used. For dumplings: Pour the glutinous rice flour in a bowl and slowly add water and mix until the mixture becomes the texture of dough. You may not need the ½ cup of water to reach the proper consistency. Knead the dough for about 5 minutes. It should not be too sticky. The consistency should be like play-doh and you should be able to easily roll it into a ball. Pinch off pieces of the dough. Roll into a ball about the diameter of a quarter. Push an indent in the middle to create a bowl and add filling inside. Reform the ball around the filling. For soup: Boil about a cup of brown sugar in four cups of water. Add slices of fresh ginger. Add more flavorings to taste. To cook: Boil water separately. Drop the balls into boiling water and cook them until they float - about 5 to 10 minutes. Ladle out the cooked balls and serve in the sweet soup. Enjoy! Thank you for inviting me to the celebration! I am gifting a copy of My Fair Concubine (open internationally) to provide some warm summer thoughts for your winter reading. Just let me know about some of your winter traditions that revolve around food or some other interesting Christmas trivia. 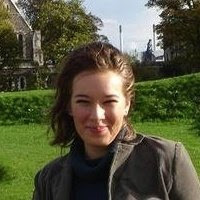 Jeannie Lin started writing in 2005 while she was teaching high school. After a long journey through rejections and contests and revisions, her manuscript, Butterfly Swords, won the 2009 Golden Heart® award for historical romance. Her first two books have received starred reviews in Publishers Weekly and Library Journal and her second novel, The Dragon and the Pearl, was listed as one of Library Journal’s Best Romances of 2011. Check the Books section for information on individual titles and release dates. 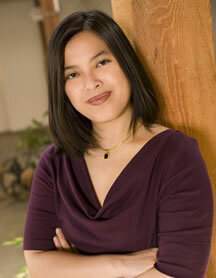 Her stories are inspired by her love of adventure, history, and fantasy in both western and Asian traditions. From an early age she was fascinated by legends of King Arthur and the fantasy of Lord of the Rings as well as the Chinese wuxia (martial arts) fiction. As a result, she writes heroic characters in epic situations while interweaving a strong romance to make larger than life characters human. For more on wuxia and the historical background to her books, see the extras section. her website / blog / Twitter / Facebook / Goodreads. Yan Ling tries hard to be servile—it’s what’s expected of a girl of her class. Being intelligent and strong-minded, she finds it a constant battle. Proud Fei Long is unimpressed by her spirit—until he realizes she’s the answer to his problems. He has to deliver the emperor a “princess.” In two months can he train a tea girl to pass as a noblewoman? 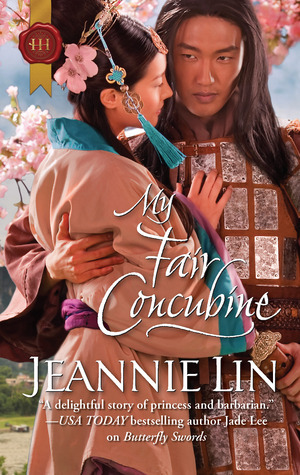 Jeannie has generously offered a copy of My Fair Concubine to a lucky commenter!